Keith Hudson, the dub dentist, was a one-off innovator with impeccable, classical lineage: his first studio recording involved former Skatalites; his earliest releases provided solid-gold hits for Ken Boothe's "Old Fashioned Way" as far back as John Holt, Delroy Wilson, U-Roy and the rest. Like "Lloyd" Bullwackies Barnes, his collaborator here - his split from this tradition is dynamic and all his own: Hudson's mature music finds its optimum conditions away from Jamaica, in London and New York studios and for less didactic transatlantic audiences, while his dark experimentalism becomes increasingly better suited to the the LP and extended 12" than the cardinal 7" reggae format. Original dark disco mixes from the middle>> latter seventies, drenched in the essences of deepest afro-american-jamaican funk jams. 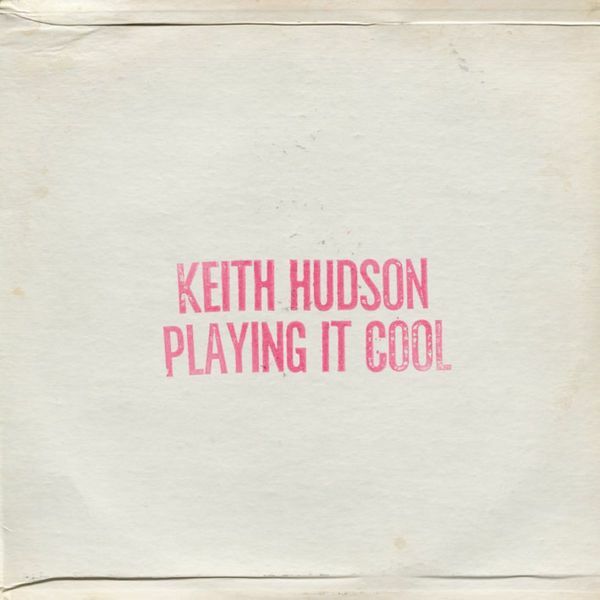 "Playing It Cool & Playing It Right" was released in 1981 on Hudson's own, american based Joint International label. It was originally intended that one of Hudson's teenage sons would voice the dubs: in the event the Love Joys, Wayne Jarrett, and inimitably Hudson himself featured at the microphone. Like Wackies, Hudson was a Studio One devotee "I used to hold Don Drummond's trombone for him so I can be in the studio", he once recalled ˆ and the album follows Coxsone's recent strategy of overdubbing signature rhythms. While the Studio One sides were aimed at the dancefloor; Hudson's reworks of alltime classic tracks like "Melody Maker", all darkside funkadelic guitars and brooding feeling, are more psychological. Deep Barrett Brothers rhythms are remixed like you've never heard, deeper still with reverb, filters and other distortion, pitched down, everything; and overlaid with new recordings, often heavily treated, of wahwahed guitars, percussion, keyboard, voice. "Playing It Cool.." is legendary, strange, utterly compelling music.